LARGEST UNIT & only "01" line currently for SALE! One of a kind 3 bedroom/2.5 bath duplex with 2366 sq.ft. of living space, 2 balconies with sweeping views of NYC skyline on 8th floor. Updated eat-in-kitchen, Brand new tub in the master bedroom! Sun-drenched family room off the kitchen offers bonus space!! Master bedroom suite has a huge walk-in closet, additional 2 closets, 4 HVAC, Master bath w/double vanity & sauna and walk-out terrace with magnificent NYC skyline views. Central Air, Washer/dryer in unit, one parking space included. 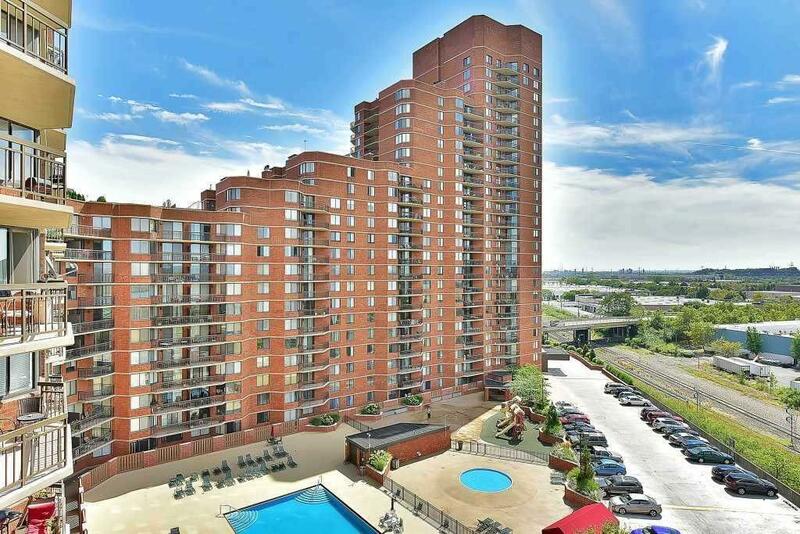 Harmon Cove Towers is a beautiful complex with many amenities including 24hr doorman/concierge, security, elevators, pool/kids pool, gym/ steam room, basketball/tennis courts, Kids play room, Game room, and play area, to name a few. Easy NYC commute with transportation on site. Set your appointment today for a private showing!